The event takes place on Saturday 25 May 2019 at Kyalami Grand Prix Circuit. The gates to Kyalami Grand Prix Circuit will be open to the public from 14:00 on Saturday 25 May 2019. The Speed Lap with Afrihost Fibre will start at 16:00. Participants will only be able to access the start area until 16:05. 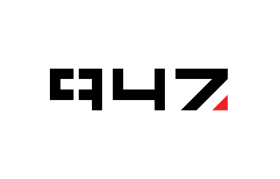 The Discovery 947 Rhythm Run starts at 17:30. Participants will not be able to access the start area after 17:45. The Discovery 947 Rhythm Run after-party will finish at 22:00. All participants will be required to vacate the premises by 23:00. Only paid entrants will be able to access the venue, routes and after-party. Strictly no under 18���s allowed. Race organisers have the right to verify and request verification of the age of participants before, during and after the race. Entries are available to the first 8 500 paid entries only. We will only accept online entries. You will not have the option to pay later. If you have not paid, your entry will not be saved. Methods of payment allowed are: Credit Card or Fast EFT - both are accessible from the online entry system. 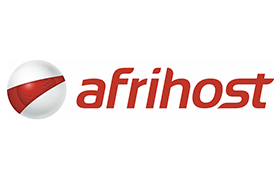 All Speed Lap entrants, by entering, automatically opt in to be contacted by Afrihost regarding the special Afrihost Fibre offer. The Speed Lap will start at 16:00. Participants will only be able to access the start area until 16:05. Speed Lap participants are required to complete the first lap within 35min or less. Participants who have not completed their second lap by 17:10 will be swept off the route and returned to the finish area. Speed Lap Race numbers must be worn on the front of your complimentary Discovery 947 Rhythm Run T-shirt. No official ASA approved club colours are to be worn. All participants are advised to wear their complimentary Discovery 947 Rhythm Run T-shirt, or alternatively any other unbranded running attire. This is a timed event. No race number, no timing chip, no result and therefore no prize money. You will receive your complimentary temporary timing chip in your race pack. All instructions from race officials must be obeyed at all times. Participants who decide not to complete the second lap will be regarded as non-finishers for the Speed Lap and will not be eligible for prize money. This event is NOT held under the auspices of the IAAF, ASA or CGA nor any other athletics governing body. The rules and regulations covering this event are solely those as defined in these terms and conditions and as detailed by the event organisers and sponsors. Prize money will be awarded to the first three men and women to complete two laps of the course. In order to be eligible for prizes you will need to have crossed all timing mats on route and be verified as the prize winners by the official referees. Prize winners must be present at prize giving in order to claim their prize. Prize giving will take place at 17:15 on the stage on the track, before the start of the Discovery 947 Rhythm Run. Objections/appeals must be lodged with the Finish Referee (at the finish area) by latest 16:45. Please note that no prize money will be awarded on the day. All prize winners will be contacted and will receive their prize money via EFT approx. 21 working days after the event. Participants who arrive late will be able to run the Discovery 947 Rhythm Run which is non-competitive and starts at 17:30. The Race Director for Speed Lap is Bruce King, from Jeppe Quondam Athletics Club, who is also the Race Director for the Jeppe Marathon. The Race Director���s decision is final. Event merchandise pre-purchased online will need to be collected from the merchandise store close to the start area, on the day of the event. Your merchandise will not be couriered to you with your race pack. You will be sent an email with all details for collection closer to event day.No size exchanges will be permitted at merchandise collection so please ensure you order the correct size. Click here for the First Ascent size chart. Supporter���s tickets cost R160 per person (including VAT) and is limited to 3 tickets per participant. Supporter���s tickets are available for pre-purchase if linked to an online Rhythm Run or Speed Lap entry. Strictly no under 18���s allowed. Race organisers have the right to verify and request verification of the age of guests at any time. Supporters with valid guest access bands will have access to the venue, start waiting area and after-party during specified times only. Supporters will not have access to the track/routes. Supporters are required to follow instructions of the marshals, security and race organisers or their appointed representatives. Entrants purchasing supporter tickets on behalf of a third party accept these terms and conditions and are deemed to being duly authorised by the third party to accept the terms and conditions on such third party���s behalf and agree to indemnify the organisers and their representatives harmless against all claims. Participants are advised to wear their Discovery 947 Rhythm Run t-shirt and suitable active wear which they can run in and also wear at the after-party. There will be a 'freshen-up' area at the finish. It is recommended that all participants bring along and wear a headlamp during the race. There will be a secure bag drop-off area at the start/ finish area. Race packs containing your wristband, Rhythm Run T-shirt, and timing tag will be couriered to you during the 2 weeks leading up to the event. Please provide correct delivery address details in your entry form. This should be an address within the main centres of JHB / Pretoria, where someone will be available to receive the parcel during the week (preferably a work address). After 2 failed delivery attempts the race pack will be made available for collection at Kyalami Grand Prix Circuit on Saturday 25 May from 14:00. Courier deliveries will apply to the main centres of JHB / Pretoria. Participants with addresses in outlying regions will be required to collect their race pack from Kyalami Grand Prix Circuit on Saturday 25 May, from 15:00. Each entrant will receive a wrist band in their Race Pack. This wrist band must be worn on the allocated entrant���s right arm for the duration of the run and after-party. Persons accessing the parking, start area, venue and route without a valid 2019 Discovery 947 Rhythm Run wrist band will be removed from the parking, start area, venue and routes. Participant may not sell their number, or allow anyone else to run under that number. A substitution may be applied for through race office. An administration fee of R50 will be charged per substitution. The new participant will need to obtain the wrist band and T-shirt from the existing entrant. Substitutions may be applied for through the race office until 10 May 2019 or at the Queries Kiosk at Kyalami Grand Prix Circuit on the day of the race. T-Shirt exchanges as a result of a substitution may be done at the Queries Kiosk at Kyalami Grand Prix Circuit on 25 May 2019 between 14:00 and17:00 (subject to availability). You will be required to hand in the incorrect size t-shirt in good order. There will be one water point on the route and one at the finish. Medical support for the Discovery 947 Rhythm Run will be available at Kyalami Grand Prix Circuit for the duration of the event. Any reasonable medical or emergency evacuation costs incurred on behalf of an entrants during the Discovery 947 Rhythm Run will be for the cost of the entrant. Only entrants will be eligible for access into the after-party which will commence when the first runners come through the finish. There will be food and beverage vendors at the after-party. No t-shirts will be exchanged. Ensure you order the correct size. No food, beverages, alcohol, firearms or dangerous weapons may be brought onto the premises. Bank card and ATM facilities will be available at the venue. No smoking allowed in and around buildings. Smoking will only be permitted in designated smoking area. Only supporters with valid supporter���s tickets will be allowed access into the venue. Instructions given by the organiser and race officials must be followed at all times. Participants are warned to keep to the left of the track (passing on the right); and to remain on the sections of the track demarcated for them. No refund shall be given in the event that a participant cancels their entry into the event. The event organiser may consider a refund under exceptional circumstances such as illness and/or any other extraordinary circumstance. In that case, the Event organiser will evaluate a request for refund on its merits and such refund shall be at the discretion of the Event Organiser. If you are entering for any person other than yourself (���third party���) then by accepting these terms and conditions, you do so being duly authorised by the third party to accept the terms and conditions on such third party���s behalf and you agree to indemnify the organisers and their representatives harmless against all claims. Participants take part entirely at their own risk and agree that they shall have no claim whatsoever against the Organising Committee, any individual or official, marshal, assistant, helper or agent, the sponsors or any local authority or their employees, in respect of any loss or damage whatsoever which participants may suffer arising from any injury to their person or loss or damage to their property as a result of, or arising out of, whether directly or indirectly, the participants' arrival and departure there from, attendance at registration, prize-giving or other function thereof, however such loss or damage may arise. 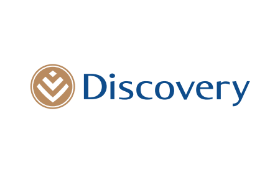 Persons taking part in the Discovery 947 Rhythm Run as part of a team and whose entries were made on their behalf are deemed to have accepted these terms and conditions by virtue of their participation in the Discovery 947 Rhythm Run. The participant agrees to abide by the rules of the Discovery 947 Rhythm Run, and confirms that she/he has read them, and understands that she/he takes part in the Discovery 947 Rhythm Run at his/her own risk and indemnifies the sponsors and/or organisers against any claim which may result from his/her participation. The participant further understands that it is his/her responsibility to be medically fit to take part in the Discovery 947 Rhythm Run. This indemnity applies equally to teams entering under the rules and conditions of entry. In entering the Discovery 947 Rhythm Run, the participant understands that the Organising Committee will take photographs of the event including participants to the event and she/he consents to such photographs being taken at the event and being used for promotional and publicity purposes at the Organising Committee���s sole discretion. The participant further understands and accepts that the photographs are and will remain the property of the sponsors and/or organisers. The personal information which you provide to us in completing the online entry form will be processed purely for legitimate Primedia business. We will not share your personal information further unless Primedia Proprietary Limited so requires in terms of law or in terms of a legitimate business purpose. Please note that in the event that you have selected to unsubscribe and/or opt-out of receiving any newsletters and/or marketing mail you will still receive communication regarding logistics relating to the event you have entered.